James Alex is the front man and only true member of Beach Slang and it is quite possible he is the most earnest rocker going today. Everything Matters But No One Is Listening is a departure for the upbeat positive punk as he has gone back and re-recorded his songs as acoustic offerings without the pounding drums and loud guitars. Alex renamed the outing Quiet Slang and the result is an interesting look into his songwriting and lyrics along with soothing overview of his career, if not truly representative. Cellos, violins and pianos are deployed to transform the originals as opener "Bad Art & Weirdo Ideas" sets the melancholy tone as pianos twinkle and vocal "ahhh's" swirl to end things. "Noisy Heaven" isn't as successful in this vein following up but the best acoustic rendition arrives early as "Future Mixtape For The Art Kids" is stunning. The vocals are instantly layered over the piano intro as the production for this song is in overdrive with strings rising and warm pulses radiating from the speakers. The overdone aesthetic works wonderfully especially for a mini breakdown with just plucking strings and lyrics about "Heaven in these streets" before the conclusion swells again winningly. Another blazing success is the drama filled "Too Late To Die Young" which ebbs and swells around a main piano line. Cellos augment, while female backing vocals add to the texture over the cinematic rendition of a deep tune, proving this gambit paid off. However, not all is perfect. Tunes such as "Spin The Dial" aren't reworked, just softer versions of the originals and come across less immediate and vital. Most obvious is the limited, restrained singing style of his punk rock ventures which is still employed by Alex. Quiet Slang makes this approach the focal point and ultimately less affecting without the sonic maelstrom around him. The breathy vocals can wear thin and tracks like "Filthy Luck" which is a ripping original, sounds clipped and only gains steam by multi-tracking backing vocals. The breathy confessional style does convey intimacy as do the strings and piano on "Dirty Cigarettes" but Alex's vocal range is lacking for this to truly reach its desired heights. The experiment certainly lends itself to soundtracks in the future as "Young Hearts" optimistic rising risings and mutli-tracked vocal closing and "Throwaways" isolated us-against-the-world motif could both easily roll over credits to a dramatic big or small screen love story.The album however is a one trick pony, and a good one at that, but it may have been even more affecting in smaller doses. Had Alex combined both Beach/Quiet and dropped a cello/piano number to end his next punk record it would have a larger impact. That said, Quiet Slang is very unique departure for Alex and one that really does show the depth to his writing as it works well in fancy string quarter chambers and beer soaked bar rooms. 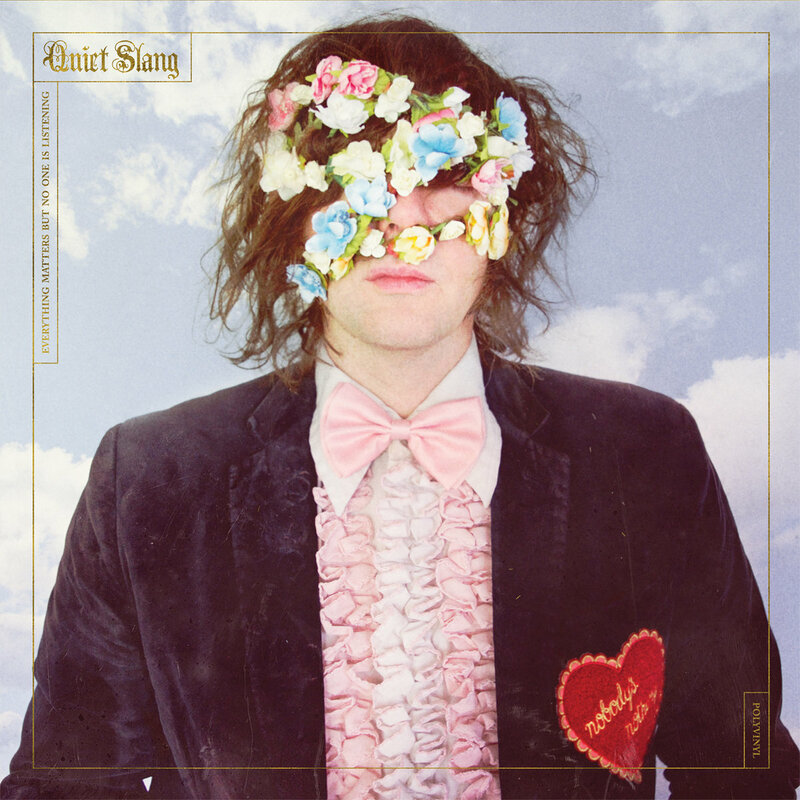 Quiet Slang gives a new slant on Beach Slang's career as Everything Matters But No One Is Listening is a pleasant Sunday morning listen for any aging punk rocker.